Click here to go to the Table of Contents of this book. Almost completely covered with sub-tropical rainforest in 1788, Norfolk Island has 182 native plant species — counting the flowering plants, Norfolk Island pine and the many ferns. These include some of the rarest plants in the world. 43 are endemic to Norfolk Island; that is they occur naturally nowhere else. Furthermore, 47 species are listed nationally under Australian law as extinct or threatened. Another 30 species, while not considered threatened nationally or globally, are already extinct, threatened or rare on the island. 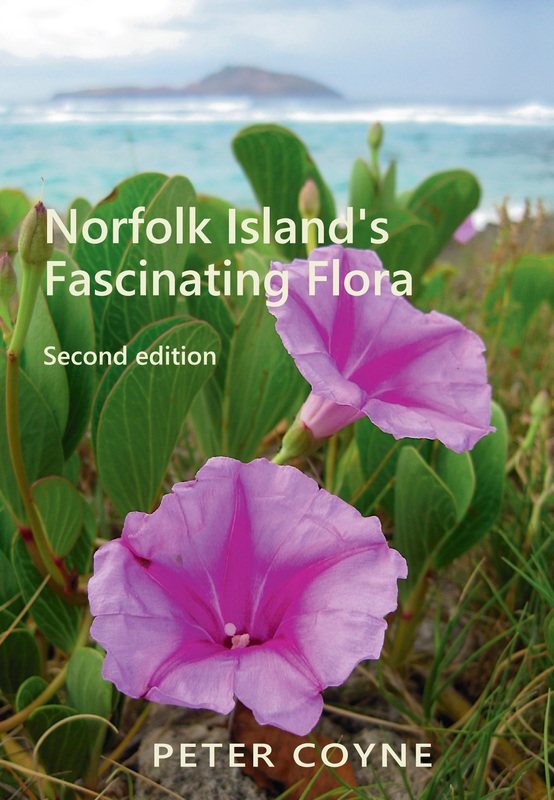 This book provides information on each of the native species or subsidiary taxa and, additionally, on some of the most important or obvious of the introduced plants (or weeds) which grow wild on the island. It also contains a chapter on the cultural use of plants during the Pitcairner phase of settlement. 192 pages, full colour, more than 400 photographs, rare early (1792 to 1805) paintings and sketches, index. Only $15.95 plus postage.